If you are looking for a current Metro Modern UI CSS/HTML Framework I’ve collected a little selection that might be helpful for you. Watches out the names are quite similar. 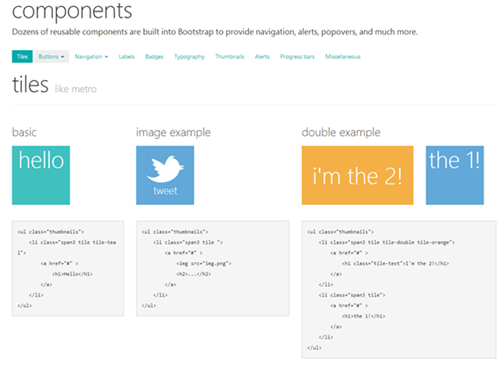 Metro-Bootstrap relies on Twitter Bootstrap and because of this it is easy to use. The colors are more “metro style” (as I would call it) and most of the elements are kind of back to the basics – compared to the original Bootstrap. There is also a Tiles component but in fact it doesn’t offer many opportunities in the moment so it is not very comfortable to work with. If you are just interested in the style in my opinion this could be a good option. In fact it offers you everything you will need to design your Web-Application like a Windows 8 App. But unfortunately I’m not very comfortable with this alternative because in my opinion this is way to desktop-oriented. Even the scroll direction in Hub is horizontal – matter of taste however you don’t have to use it. Anyway it is much more advanced than the “Metro-Bootstrap” project. Also the author included some elements of the HTML5 Boilerplate. Most important disadvantage in my opinion: they didn’t rely on Bootstrap. Maybe BootMetro would be the better choice? If you are planning to create an administrator website in the metro-look you might consider using MAdmin. It also relies on Bootstrap but you have to pay 20$ per application. Not a huge problem at all in the business environment. It doesn’t offer a huge “Tile”-support but a nice menu and everything else you might need in the administrative field. 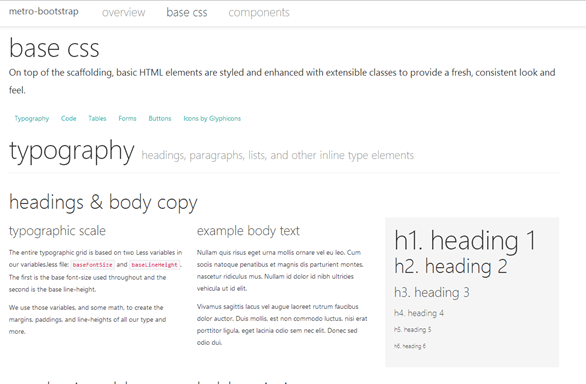 Metro-Bootstrap is quite easy to integrate and the Styles are created with LESS what makes it easier to adapt it. A good base if you are used to work without Tiles and Win-8 Controls. 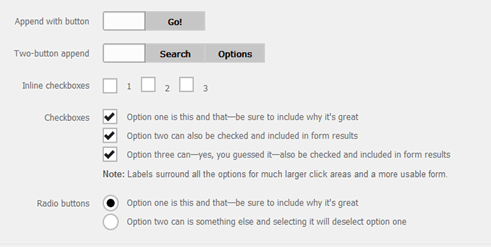 BootMetro is powerful but it seems less “classy” to me but the Form Controls are well done. I suppose the developer uses CSS files as well – this could be a problem when it comes to the adaption. The Metro UI CSS Framework doesn’t rely on Bootstrap and because of this I dismiss it. MAdmin could be a good choice for admin pages but it’s not useful for fun projects. 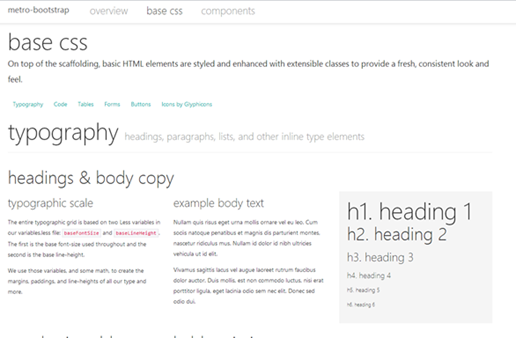 If you know some other “metro” CSS/HTML Frameworks I left out don’t hesitate to tell me.